The Uncurated Life: 11.16. 2012 | Can You Guess Who This Hunk Is? 11.16. 2012 | Can You Guess Who This Hunk Is? 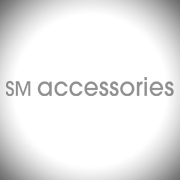 Can you guess what SM Accessories has in store for you this coming November 16, 2012? Who could be this hunk wearing the ever so stylish SM Accessories?